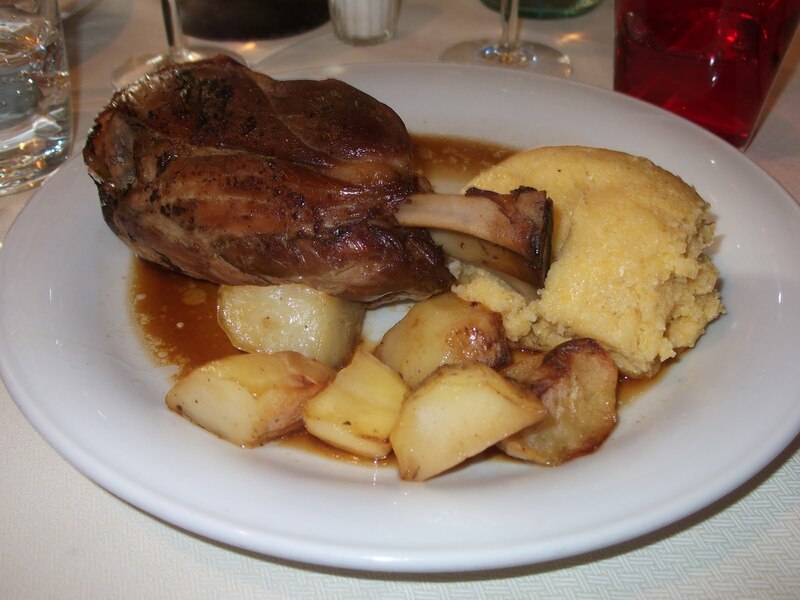 Traditional whole pork shank, is the extremity of the pig's leg, between elbow and wrist in the foreleg or knee and ankle in the hind leg. It is conveniently sold, precotto (pre-cooked) where one just boils (ready to eat in 20 minutes) it in a bag of its own seasoning. Served with roasted rosemary potatoes and Italian green cauliflower, Stinco has become our new favorite evening meal.